Terrain – Narrow, winding river with lots and lots of sharp curves. Chips Folly – No idea where this one is, never made it that far. You can also supposedly put in at Speedwell Bridge, but it’s usually too shallow at Hawkins to really get going, so I’m not sure how one would start further up the river. Expect to walk a lot I guess. 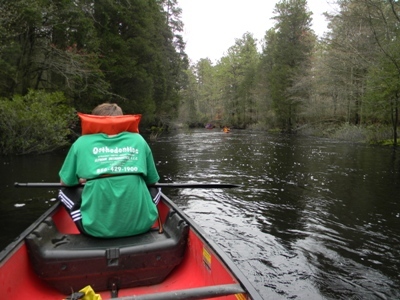 Description: When I think of canoeing, I think of the Wading. I’ve done this river at least a dozen times since my first trip down it from Hawkins Bridge down to Frank’s Place (you can still see Frank’s Place, it’s now covered in “No Trespassing” signs) way back n 1993. I’ve canoed on it every season of the year, in droughts where the bottom drags the first three miles and in floods where the banks overflowed so badly that it was one big lake and you couldn’t tell which way the river was supposed to go. 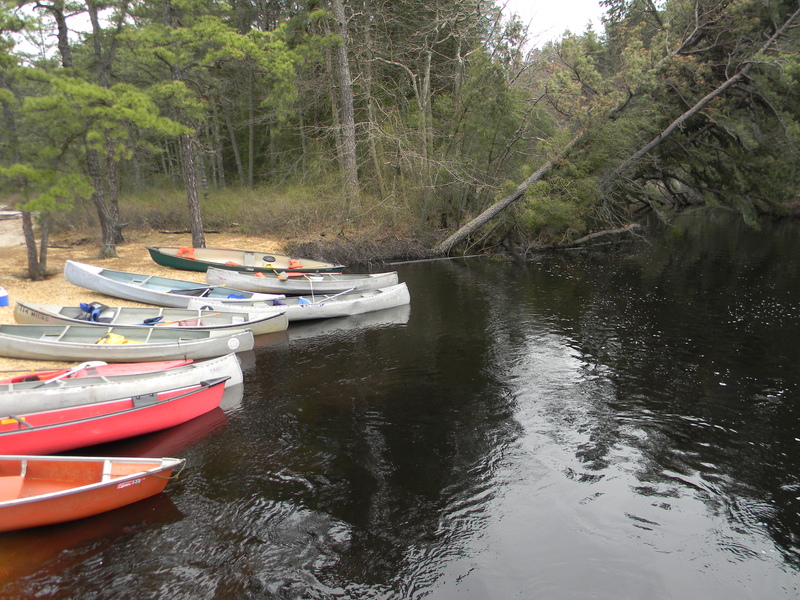 I’ve canoed it twice in the last three months, during which I was brave enough to take pictures for the first time. Right off the bat, kayaking is probably way easier. I, however, am a canoe man, so canoeing it is for me. 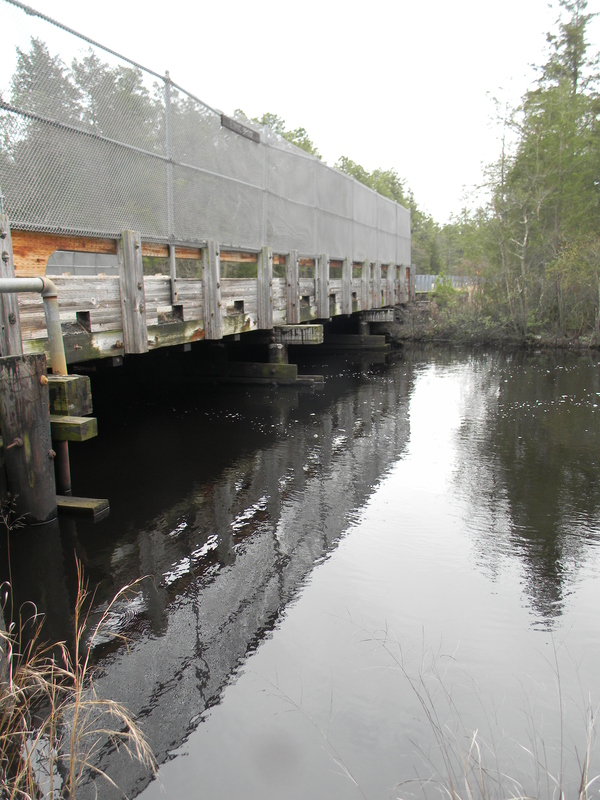 You’ll start out at Hawkins Bridge, which is an interesting drive down some dirt roads. Turn at the sign for Winding River Campground off of Rt 563, Green Bank – Chatsworth Road. Cross the bridge and drive until you come to a “T”. Turn right at the T. Go until you drive across a bridge. This is the put in for the Wading. Parking is ahead just a few hundred yards. You’ll put in upstream of the bridge and go under it. At most times, the Wading starts out very shallow. Expect to have to get out of the canoe and walk it downstream in stretches. If you are me (an idiot) and canoeing in October, March, April, or some other not very warm month, you will start off not very happy if you have to walk your canoe. Once you get going though, it gets better. The Wading is tricky for two reasons – 1) it curves. A lot. 2) the current is really, really fast. What this means is, if you are not a great canoer OR you try to go to fast, you’re going to spend a lot of time in the bushes or in low hanging tree branches, getting scratched up or flipping over. Take your time and you can avoid 80% of the problems. On the top part of the river, sit back and enjoy the scenery. 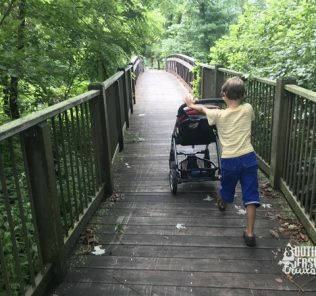 It’s about 3 or 4 miles or so down to your first landmark, the campground at Godfrey Bridge. Pullout at Godfrey Bridge BEFORE the bridge. Pullout near the base of Godfrey Bridge. Godfrey Bridge is usually a nice place to stretch for a few minutes before continuing onward. Just after Godfrey, you’ll parallel the Wading Pines Campground (thanks Darrin on the correction!). 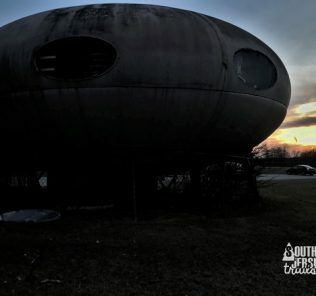 This is private, not state owned, and I’ve never had the opportunity to stay there. What you need to worry about now is folks floating on tubes. They likely aren’t paying attention, you can easily run them over in your canoe, so be careful. 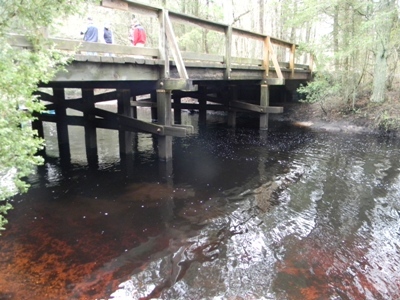 You’ll wind through some more lovely pinelands until, after two or three miles, you’ll come upon Evans Bridge. There are bolts sticking out of the bottom, so be careful if the water is high. This is six miles in, a great spot for lunch. 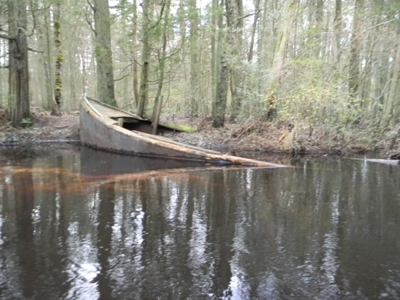 There is one spot to look for on this stretch, an ancient boat that it slowly rotting away in the river. When I was little, there was a lot more of it. Some day, there will be none of it. No idea what it’s from, but enjoy it while you can. Pullout on the other side of Evans. From Evans Bridge, it’s just over three miles to the pullout at Bodine Field, and a bit under four to the pullout at Beaver Branch. 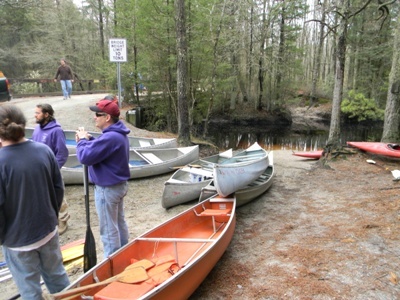 Overall, a lovely way to spend a day out in the Pine Barrens. 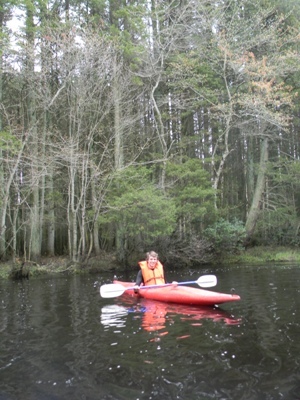 Not lucky enough to own your own canoe or kayak? 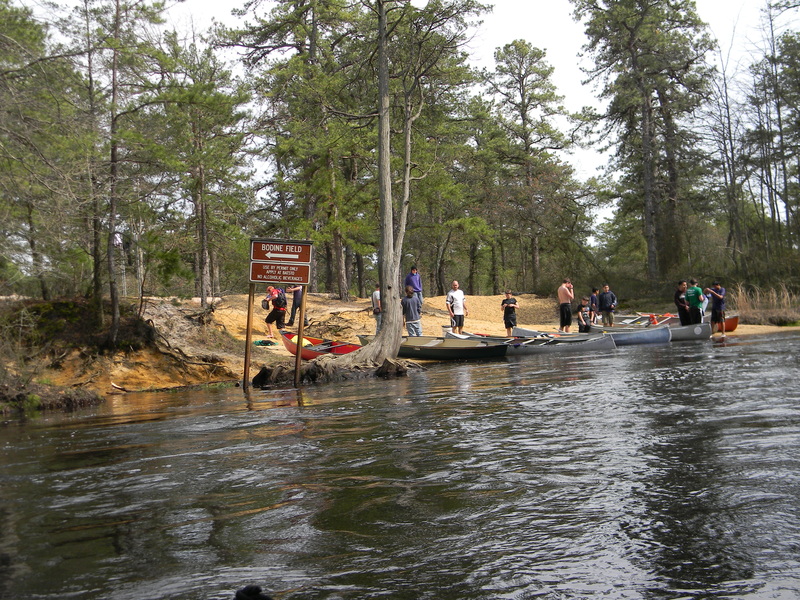 Mick’s is the closest canoe/kayak rentals to the Wading River, and I’ve happily used them many times in the past – http://www.mickscanoerental.com/ . 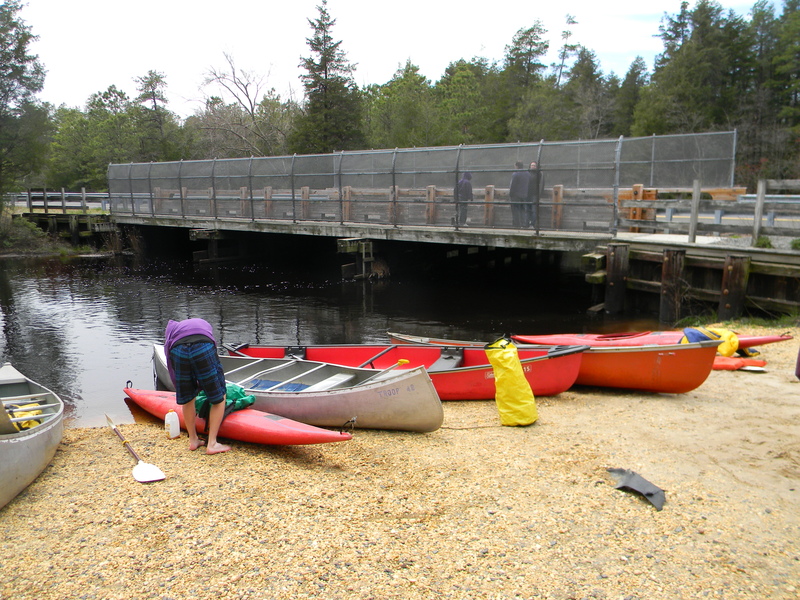 Cedar swamps, pinelands, ore boat, three bridges, swimming (when it's warm), and wildlife. The speed of this river can be difficult to navigate if you aren't used to it. As previously stated, this is not only my favorite place to canoe, it’s what I think of when I think canoeing. I can’t give a better recommendation than that! I enjoyed reading your blog. 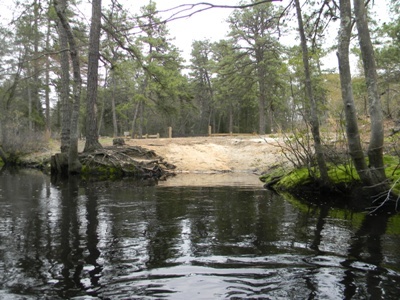 The campground you are referring to as Winding river is actually called Wading Pines. Thanks Darrin! I made the change! You’re welcome, glad you enjoyed it! I don’t see why you wouldn’t be able to pull out there, especially in the off season. If you’re concerned, you can always put a call into the Wharton State Park office. Hi Bob! You’d want to put in at Hawkins Bridge, above there just usually isn’t reasonable to do in a canoe. You can Camp at Bodine Field, which gives you 8 1/2 or 9 miles the first day. 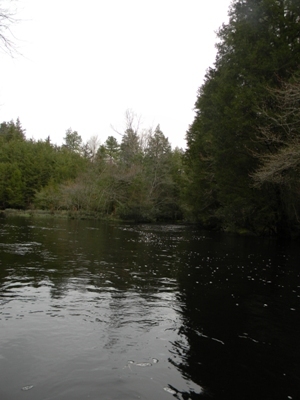 The second day, you could canoe down to Chips Folly, the last listed take out on the river. Sadly, it’s the one spot I’ve never taken out at on the Wading, but I’d think it’s 4 or 5 miles. 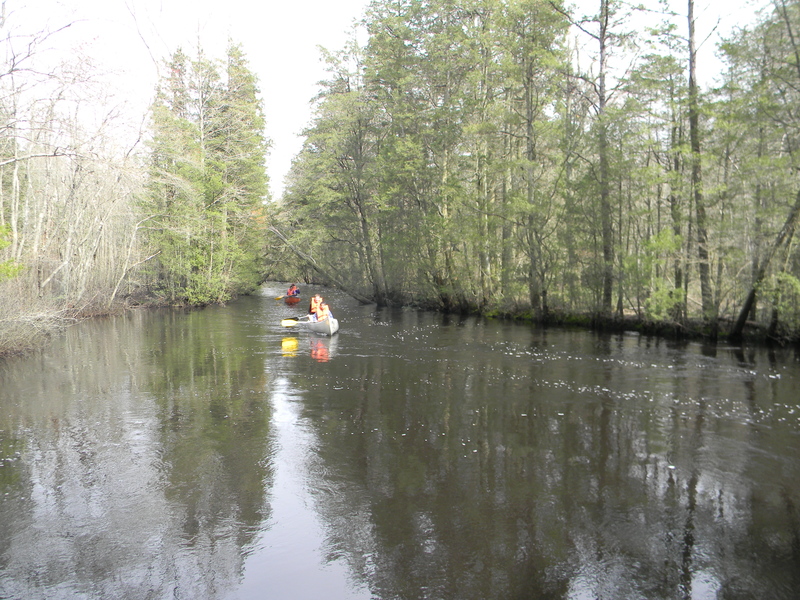 If you aren’t set on the Wading, you can also look at our write up on the Mullica River. 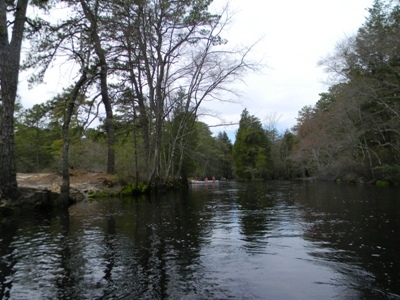 It’s a nice two day paddle from Atsion down to Sweetwater (about 10 miles total, but pace is MUCH slower than the Wading) with camping at the Mullica River Camp. Nice review, other than the difficulty. We did hawkins to godfrey (mikes 7-11), stayed at godfrey, and did godfrey to beaver (about a mile past bodine). We stayed for the weekend (sept-oct 2017) and I’d rate the difficulty as a 1. That being said, the water level was extremely low as we haven’t had a good rain in awhile. I can easily see how it could be much more challenging and am waiting for the next big rain to give it another go. Therefore, I thought it was worth a mention that the difficulty ranges drastically and is directly dependedant on the water/rain level. 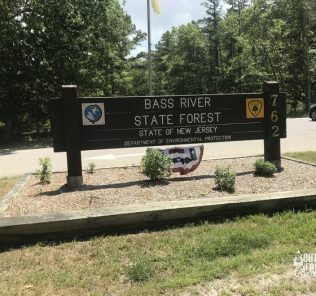 For those doing the trip for the first time, there’s ample parking at Hawkins and at beaver (we left a truck and full size trailer at both spots). I will also be doing the trip past chips foley and out to the bay, therefore, if anyone knows any parking spots (put-in/take-out) past Foley, I would appreciate it.